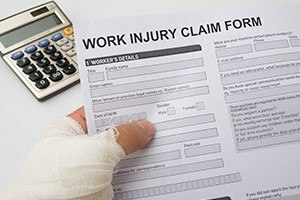 If you suffered a work-related injury in Massachusetts, you may be entitled to receive workers’ compensation benefits. At the law firm of Pulgini & Norton, we offer comprehensive guidance and representation in these matters. A Boston workers’ compensation attorney can be vital in helping injured employees seek the benefits that they need. We are ready to advocate tenaciously for your rights if you have been hurt on the job. Employers in Massachusetts must provide their employees with workers’ compensation coverage. This is a type of insurance that reimburses an individual for work-related injuries and illnesses. In exchange for the workers’ compensation, the employee essentially forfeits his or her right to sue the employer through a conventional lawsuit. Partial disability. A partially disabled worker is someone who is still able to work, but at less than his or her previous earning capacity. He or she can receive 60 percent of the difference between his or her average weekly wage before the injury and the amount he or she is capable of earning afterward. The worker can get these benefits for up to five years. Permanent total disability. A permanently and totally disabled individual is unable to perform any type of work, and may receive two-thirds of his or her weekly compensation prior to the injury for as long as the disability lasts. Temporary total disability . A worker suffers a temporary total disability if he or she cannot work for at least five days after the accident. This type of employee can obtain up to 60 percent of his or her weekly wage prior to the injury for up to three years. Although these benefits are available, an injured employee often faces an uphill battle to prove the severity of his or her harm and obtain the appropriate level of compensation. It is essential to meet certain criteria, such as showing that the incapacitating situation lasted for more than five days. You must also file your claim within four years from when you realized there was a connection between your injury and your work. Once your claim is filed, your employer or the insurer may question the extent of your harm in an attempt to deny or reduce the amount paid. You can appeal to the Department of Industrial Accidents if your claim is denied. Our attorneys can provide the knowledgeable guidance you need at every step of the workers’ compensation process. You may also have a claim against a third party if your workplace injury was caused by a defective tool or machinery, automobile, or other device you use at work. You can file a lawsuit against any entity that was responsible for your harm. If you prove this party’s liability, you may be able to recover damages related to your injuries. A third party lawsuit can affect your workers’ compensation claim, so you will want to explore your options thoroughly with a legal professional before pursuing this action. Pulgini & Norton consists of diligent workplace accident attorneys who have represented numerous Boston employees. Our workers’ compensation lawyers have more than 40 years of combined experience and can provide our clients with seasoned representation in seeking benefits. An injury sustained on the job can have a lasting impact on your physical well-being and financial stability. We understand the challenges involved in obtaining the appropriate compensation and can advocate tirelessly for your rights. Our lawyers represent injured workers in Somerville, Cambridge, and Medford, in addition to other towns throughout Massachusetts. Call our office today at 781-843-2200, or you can contact us via our online form to schedule an initial consultation.